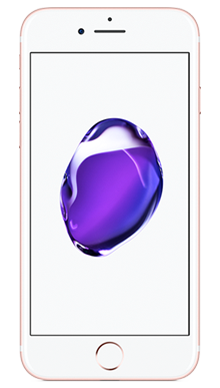 The tried and tested design of the iPhone is what put Apple leagues ahead of their competitors initially, and the iPhone 7 features a sleek design that makes for a sophisticated smartphone that is extremely comfortable to use. There’s a reason that Apple is now recognised as one the true technology giants of the modern world. Ever since the first iPhone release over a decade ago, they have been providing a loyal global audience with exceptional phones and only seem to go from strength to strength. The iPhone 7 was released to a long awaiting audience in 2016. With each and every new iPhone release comes months of speculation around what Apple will do next, so the pressure is always on for the company to deliver. Even though the iPhone 7 is nearly two years old, it is still one of the more high end smartphones on the market with some impressive features that maintain Apple as an industry leader. 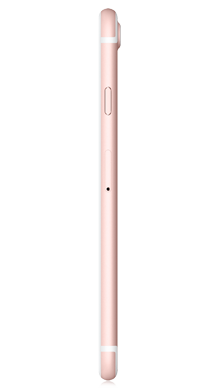 The iPhone 7 is extremely similar in design to the previous 6S and 6 models, with the rounded curves and minimalistic looks that have become typical of Apple’s products. While some may think this is lazy, we can’t help but argue that Apple know that if something isn’t broken, don’t fix it. The tried and tested design of the iPhone is what put Apple leagues ahead of their competitors initially, and the iPhone 7 features a sleek design that makes for a sophisticated smartphone that is extremely comfortable to use. Apple has, however, made some small improvements to set the iPhone 7 apart from other models. The 7 comes in new colour options, such as glossy jet black and matte black. While the new colour options look great, beware of the fingerprint marks that you’ll be susceptible to with the glossy version. Other improvements included the larger camera lens, the upgraded home button to fingerprint sensitive touch pad and the addition of the long-awaited water resistance. Perhaps the most talked about change with the iPhone 7 was the removal of the headphone jack, meaning that to listen to music users are required to use wireless headphones or the Apple manufactured Airpods. Despite the fact that the iPhone 7 doesn’t feature full HD specifications, it still comes equipped with a decent display quality. Apple have given the iPhone 7 the same screen resolution as previous models, but despite this, it still holds its own when placed against other high-end smartphones released around the same time, particularly when it comes to watching videos; the viewing experience is extremely impressive. Colours are still vivid, details are sharp, and overall contrast is significantly improved with a screen that is 25%brighter than previous iPhone models. The sound quality of the iPhone 7 is pretty much up there with the best of them. Compared to previous models the sound is notably improved. When listening to music the sound comes across rich, detailed and punchy. The iPhone 7 doesn’t miss a beat and rhythmic timing is much better on this model. However, we know what you really want to know about when it comes to sound - that missing headphone jack. It was a controversial move when Apple first announced this design modification, and a big risk to take. The missing jack means that in order to listen to your iPhone 7 through headphones, you have to use wireless headphones, Lightning earpods, or through the headphone adapter. The headphone adapter is ok, but we can see it easily getting lost or misplaced and it is slightly inconvenient that you can’t listen to your music while charging your phone when using the adapter. That being said, many manufacturers are now moving toward wireless audio, so perhaps Apple was just one step ahead, and we may see more and more smartphones released with the absence of a headphone jack. While many critics and experts get excited about how Apple may have changed the design of the latest iPhone release, that’s nothing compared to the rumours and whispers around what new features the new model will come equipped with. 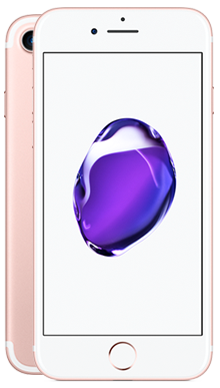 When it comes to camera specs the iPhone 7 features an upgraded six optic lens and optical image stabilisation and a wider aperture than its predecessors. This essentially means that the camera setup on the iPhone 7 will, in theory, deliver an increased level of detail and colour saturation. Users won’t be disappointed when using the iPhone 7 for photography, it performs exceptionally well, even in poor lighting conditions at night. The camera itself is 12MP, which is decent, and there have been improvements made to the True Tone flash; you’ll now recognise that your shots look significantly more natural than before. We were happy to see that the front-facing camera finally received an upgrade to 7MP, meaning that anyone out there who is a confessed selfie king or queen will be overjoyed to discover that they’ll be looking their best when using the iPhone 7. Apple always seems to be somewhat reserved when it comes to the specifics of their iPhone batteries. We will admit that the battery on the iPhone 7 is considerably better than the iPhone 6S models, but users will find that the battery still starts to drain towards the end of the day. As is often the case with iPhones, you will find yourself having to plug your phone in to charge every night, particularly if you find yourself constantly attached to your smartphone. Unsurprisingly the iPhone 7 runs on the Apple’s in-house A10 Fusion 64-bit system-on-chip. The new chip features two low-power cores and two high-power cores, however, the phone will only ever use two cores at any one time. The performance with the A10 chip is extremely impressive, and the iPhone 7 gives users a speedy smartphone experience and a responsive interface with little delay when carrying out multiple tasks at the same time. The iPhone 7 comes out of the box with iOS 10.0 but is, of course, upgradeable to the recent versions. Anyone who is familiar with the iPhone interface will find it a joy to use and even those whomay be first time iPhone users will find it doesn’t take too much getting used to. 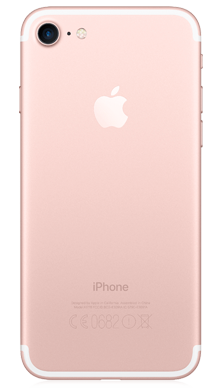 Here at Fonehouse we believe that the iPhone 7 is a fantastic option if you’re on the hunt for a new smartphone. The design may seem similar to previous models, but we still think it looks sleek and elegant and is a handset that we’d be proud to show off. The display is exceptional and the small improvements that Apple has made are much appreciated. Despite the missing headphone jack, the sound quality is still great, and we really do think that the absence of the headphone jack will soon become the norm. The camera maintains the high standards that have previously been set out by Apple, and any budding smartphone photographer will be impressed with what the iPhone 7 can achieve. We have some of the very best Vodafone iPhone 7 deals, with great additional perks including entertainment subscription to the likes of Spotify, Now TV and Sky Sports. Or, if you’re looking for an EE pay monthly contract, we’re proud to bring some of the best iPhone 7 offers on EE, giving you bags of data and even the odd cashback offer! 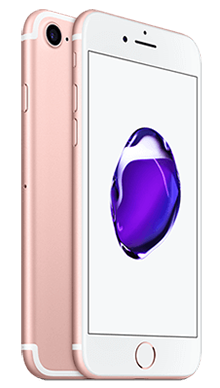 If you can’t find the best iPhone 7 deal online or in our stores, contact our UK based customer service team on 0333 900 1133 and see if they can find the mobile phone deal that suits you.